Rosen method bodywork is a gentle hands-on approach to relaxation and awareness that was developed by Marion Rosen through her 30 years of experience as a physical therapist. Rosen method movement consists of playful, low impact exercises designed to move all of the joints in the body and facilitate breathing. After fleeing Nazi Germany, Rosen trained in physical therapy and emigrated to the United States. In 1944 she graduated from a physical therapy program at the Mayo Clinic. After working in Kaiser Permanente Hospital, she opened a private physical therapy practice in Oakland, California. Over the years Rosen treated many individuals who continued to experience chronic pain from earlier injuries, although there was now no evidence of physical injury or trauma. She began to see that the people who talked about their injuries healed faster. Gradually she developed the theory that all trauma—physical, mental, and emotional—is held in the body as chronic muscle tension. She observed that as her patients relaxed, they often experienced thoughts and emotions that had been held unconsciously in their bodies over long periods of time. Rosen developed a reputation in the medical community as someone who could successfully treat patients that failed to respond to conventional medical treatment. Patients with asthma, chronic pain, and psychosomatic illnesses responded favorably. Besides treating patients with injuries or physical complaints, Rosen became interested in the restorative and transformational potential of her approach for people who were basically healthy. In 1972, she began to teach her method to a few individuals, and in 1980 she expanded to teaching public classes. Rosen method now has 13 centers for training practitioners. There are approximately 600 practitioners from 15 countries in North America, Europe, and Australia. Rosen method movement classes were created in response to patients’ requests for exercises to decrease injuries. Marion developed an enjoyable way to move all of the joints in the body by setting to music the range of motion tests used by physical therapists. According to the Clinician’s Complete Reference to Complementary and Alternative Medicine, Rosen method is considered “ideally suited” for arthritis, back pain, chronic fatigue, headaches, and stress. It is “one of the better therapies” for asthma, colic, hypertension, insomnia, constipation, menstrual cramps, osteoarthritis, preconception, and restless leg syndrome. It is considered a “valuable adjunctive therapy” for allergies, colitis and Crohn’s disease, emphysema, postpartum care, pregnancy and childbirth, and premenstrual syndrome. Rosen method is also experienced as a valuable complement to psychotherapy. Some people are drawn to this approach for emotional and spiritual growth. Rosen method movement classes help to improve range of motion, increase breathing capacity and encourage ease in movement. The exercises are especially helpful for people who are recovering from injuries or seldom exercise. Rosen method bodywork sessions are conducted on a massage table. The patient is partially clothed and covered with a blanket. During a session the practitioner uses gentle, direct, non-manipulative touch to bring awareness to chronically tight muscles in the body. The practitioner responds to subtle changes in the breath and muscles with touch and words. This allows the client to recognize the memories and feelings which have unconsciously been “held down” by muscle tension. As the tight muscles relax, the breath moves with ease and the client may feel invigorated and have a greater sense of well-being. Rosen method bodywork sessions last from fifty to sixty minutes and are usually received once every week or every other week. The number and frequency of the sessions depend upon the goals of the client. Strict confidentiality is always maintained. With the consent of the client, a Rosen practitioner may consult with other mental health or medical professionals. Certified Rosen method practitioners charge 60-90 dollars for a session. Lower cost sessions are frequently available from Rosen interns. Rosen method is not specifically covered by medical insurance. 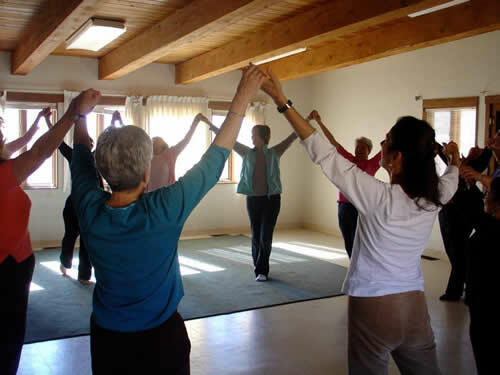 In Rosen method movement classes, the exercises are done to music with a partner or by oneself. Some exercises are done on the floor. Students wear comfortable clothes for moving. Movement classes last 50-60 minutes and cost from seven to 10 dollars per class. Rosen method practitioners do not work with people with a history of serious mental illness and psychosis or those who need strong defenses to get through the circumstances of life. Rosen method is not recommended during the early stages (less than one year) of recovery from alcohol or drug addiction. It is also not recommended during the acute phase of any physical or emotional trauma. People with medical conditions or in psychotherapy are advised to consult their physicians or therapists before receiving sessions. No scientific studies have been conducted concerning the benefits of Rosen method. 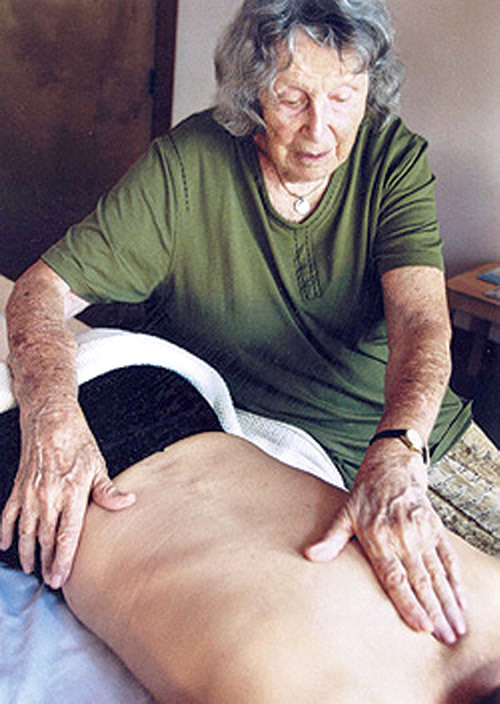 Although Rosen was honored by the International Somatics Congress in 1999 for her contribution to the field of somatics. Rosen method is not well-known by the general public or health care professionals.